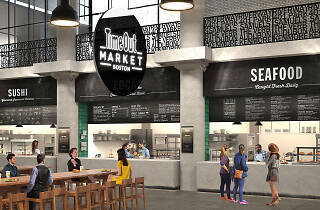 Time Out Market Boston has revealed the first slate of chefs and restaurateurs joining the mega food and cultural destination opening in the Fenway this spring, and even the most casual foodie is sure to be impressed by the all-star roster that’s taking shape. Chef Tim and Nancy Cushman of o ya debut two new concepts: The James Beard Award-winning culinary dream team behind the much-lauded o ya and Fenway hot spot Hojoko Japanese Tavern will open a pair of Asian concepts. Details are currently being kept secret, but we know the Cushmans will be incorporating the talents of Rob Wong, Hojoko’s chef de cuisine, and that both outlets will mirror the outstanding quality of o ya as well as the festive flare of Hojoko. Tony Maws: Craigie on Main is known as a culinary hot spot where James Beard Award-winning Chef Tony Maws serves his Franco-American creations based on cutting-edge techniques and the best local, seasonal and organic ingredients. It is also known as home to the iconic and renowned Craigie on Main Burger. Dedicated to delivering the ultimate burger experience and using only the most exquisite ingredients, Tony spent months perfecting its recipe; each night the burger is served in limited quantities exclusively at Craigie on Main — it is the stuff of legend people queue up for. Now this highly coveted signature burger will inspire juicy Craigie Burger variations at Time Out Market Boston for a wider audience to enjoy. Peter Ungár of Tasting Counter will serve creative, locally-sourced fare: As the creative genius behind Somerville’s ultimate destination restaurant, Chef Peter Ungár is excited to bring his cuisine across the river to Time Out Market Boston. Expect dishes such as rice-smoked duck with fermented red chili and black lime, or elderflower peaches with preserved lemon shortbread and fermented blueberry sorbet. Having worked in Michelin-starred restaurants in Paris, Ungár has one of Boston’s strongest culinary résumés, and the chef will bring a “0% carbon, 50% local, 100% natural” approach to the creative, locally-sourced fare he’ll be serving at Time Out Market Boston. Michael Schlow of Tico and Alta Strada: Michael Schlow can stake his claim among the Mount Rushmore of 21st century Boston chefs. His dearly-departed Radius restaurant changed the culinary game, and today Schlow oversees an impressive collection of restaurants across the country. At Time Out Market Boston, the James Beard Award-winner will create a menu full of simple, honest Italian ingredients that celebrate the best of the country. Dishes may include the likes of marinated baby artichokes with mint, chili and garlic, or house-made cavatelli with spicy sausage ragu. anoush’ella: Nina and Raffi Festekjian have a passion for Eastern Mediterranean flavors, and inspiration from their Armenian-Lebanese heritage is reflected in their cuisine. At their South End eatery, everything is prepared with passion and love; their cooking is based on traditional recipes using fresh, authentic ingredients. With red lentil kofta wraps and meze of hummus, baba ganoush, and walnut harissa, the Festekjians will bring the experience of dining at home with friends and family to Time Out Market Boston. Union Square Donuts: The award-winning team behind Union Square Donuts, led by co-founder Josh Danoff, has been serving up mouth-watering treats to their devoted followers in the Boston area for more than a half-dozen years. At Time Out Market Boston, the donut all-stars will tantalize the crowds with their delicious, artisan donuts, made from scratch daily with high-quality and wholesome ingredients. Expect favorites such as Sea Salt Bourbon Caramel, Brown Butter Hazelnut Crunch, and Maple Bacon, as well as new, seasonal creations. Time Out Market Boston is following in the footsteps of the wildly popular Time Out Market Lisbon—which opened in 2014 and is now Portugal’s most visited attraction with 3.6 million visitors in 2017. 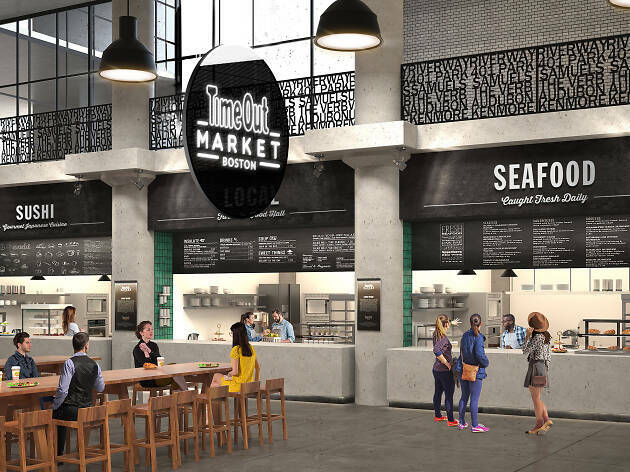 Time Out Markets are also set to open in 2019 in Miami, New York, Chicago and Montreal, and in 2020 and beyond in Dubai, London and Prague. Like some variety when you go out to eat? Time Out Market Boston will have you sorted. The market will feature 15 curated food offerings, plus two bars, a demonstration kitchen, and lots more. For the ultimate introduction to Time Out Market Boston, enter our contest for a chance to win delicious eats and a staycation at Hotel Commonwealth. 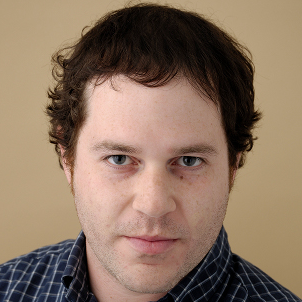 Eric Grossman has been the editor of Time Out Boston since 2018, and he keeps busy covering the city’s latest and greatest things to do, with a focus on the city’s best restaurants, bars, attractions and activities. A Boston native, Eric has covered the city for the likes of USA Today, Zagat, IAC and others. Having personally reviewed more than 1,000 places around the city, Eric is a true Boston expert and is always eager to promote his city to the uninitiated. Eric lost his Boston accent in the 2nd grade thanks to Ms. McGillicuddy’s speech therapy sessions; he’s wicked happy to talk about chowdah and the Sawx, but please don't ask him about baked beans or refer to his hometown as Beantown.